LOCKLINEThalassophiles: a documentary about individuals who love the ocean and a display of the impact of surfing on your body & mind. Thalassophiles “A surfers mind” shows you the impact of surfing on your life, body and mind. We will follow two individuals that use surfing as a guidebook in their lives; Cainã Souza da Silva & Carine van den Berg. Cainã was born in a small village in Brazil; Baía da Traição. He taught himself how to surf on a piece of wood when he was only seven years old. It was hard for him to find a proper surfboard. Through persistence he was able to create opportunities for himself and he is working hard to make surfing his source of income. Cainã is a super positive and thankfull person. He puts all his effort in surfing competitions, aiming to reach the top 30 of the best surfers in the world. His dream is to be able to financially provide his family and friends back home in Brazil. 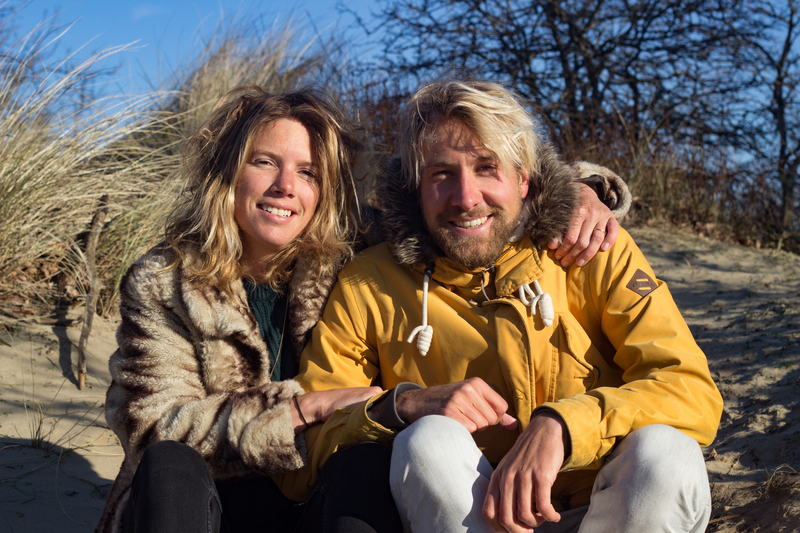 He currently resides in Scheveningen, the Netherlands, where he lives with his Dutch girlfriend. Together with Cainã, we will travel to his hometown in Brazil. We'll get a look inside his place where he started surfing. We'll also film his current life. Who is Cainã? Where does he live? How does he spend his days? How does he deal with competitions? What happens to his body? And how does he mentally prepare himself? Besides Cainã we will follow Carine, a globetrotter born and raised in Amsterdam. After her studies in Clinical Psychology, she started working at Surfana as a surfteacher. In 2015 she became co-owner of Surfana Surftrips. 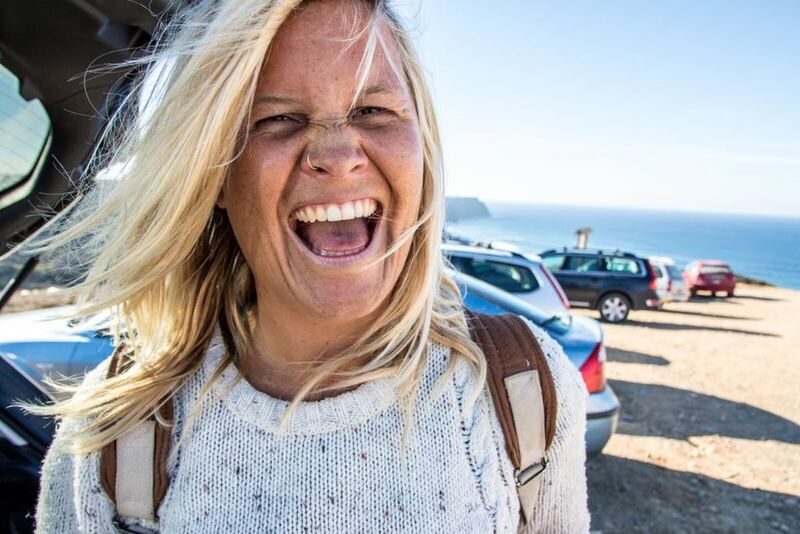 She spends about four months a year surf tripping in different countries throughout Europe, which enables her to share her passion for surfing with the surf trip guests. Carine is a charismatic and inspiring woman that lives her life fully and open minded. Her dream is to set up a place where she can spend her life with her loved ones and create different kinds of things she would like to share with guests. We follow her in the search for such a place. Surfing is a lot more than just riding a board and hanging out on the beach. We dive into the physiology and psychology behind surfing. Therefore we'll be following Tim Binkhorst and Alex Spiller. Tim is a physiotherapist, manual orthopedic & dry needling therapist. He is the founder of Flowfysio. He specializes in different sports, but mainly surfing. His view on the human body is innovative. He has a lot of knowledge about the link between body and mind and is eager to tell us more. Tim is also the physiotherapist for the Dutch surfing team. Alex studied Sport Science and did research regarding the psychological, sociological and metaphysical effects of surfing. The movie gives you a good impression of what life looks like if you choose to stay close to the ocean and to nature. You feel the intensity, pure love and joy of Cainã & Carine when they surf, but we will also cover the uncertainties that cross their paths. How is it to chase waves? To move around a lot? To continuously evolve yourself in a sport? What does their relationship to the ocean look like? After working as a producer in the commercial sector for some years, Charlotte got burned out. The only thing left on her mind was surfing and so she started traveling around the world and working in places with good surf. Close to the ocean and mother nature. It brought her back to the person she once was. During these years, her passion for producing or 'telling stories' never faded. Real stories. About life. Stories that make you think. Stories that show the beauty that life has to offer. With this film, Charlotte want to show us what the ocean and surfing can give you in life. The power, intensity, the depths, the mirrors. By sharing this, she hopes that our love for the ocean can grow and be strengthened. To cherish what we have and take good care of it. This film is for anyone that feels attracted to the ocean and surfing. And for the open-minded ones that are curious to what the ocean can tell you more about life. The main characters in this documentary has been a big inspiration to Charlotte. They have an extremely positive perspective on life, have a pretty good idea about who they are and could be an example for others if you would ask her. The ocean is a big part of their lifes but for both in a different way. Carine; an energetic, inspiring woman who is enjoying life to the fullest. Owner of Surfana Surf trips since 2015. She organizes surftrips, teaching you to love the the ocean, relax yourself and get inspired by a fantastic crew. Carine has seen many places in this world and she is eager to discover more. She likes to share her experiences with others. Actually, she likes to share everything in life. Carine will suprise you in many ways. She is notorious for showing you new perspectives on life. 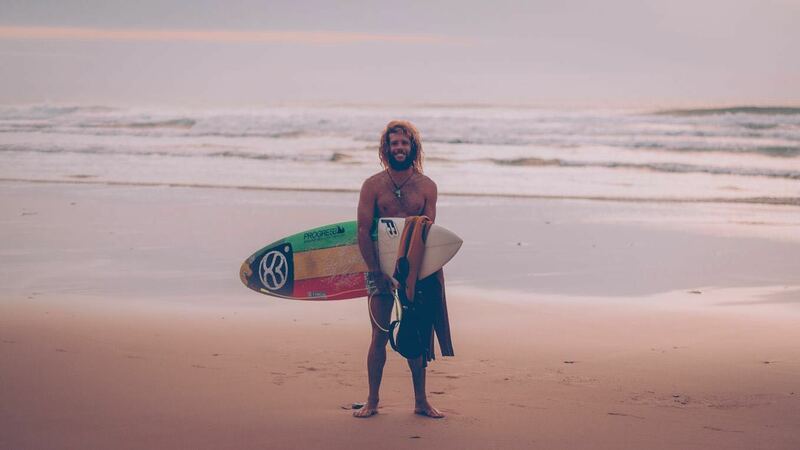 Cainã; an extremely positive person who lives to surf. It doesn't matter if it's rainy or if the waves are small. He is always happy and grateful for what the day brings. Cainā was born in Brazil, but has lived and worked in Portugal for some time in the past. He currently resides in Scheveningen, the Netherlands. His dream is to provide his friends & family in Brazil with financial or material support. That's why he is trying to achieve a higher ranking in the World Surf League. He participates in as many contests as possible, investing all the money he currently earns. If you are near Cainã you always realize that everything the day brings is something to be grateful for. Tomas and Charlotte will make this documentary together. Tomas will be responsible for the footage, sound recordings and edit. He is a multitalent and has made many short movies and photos for surf and nature related organisations. Charlotte wil be the director, producer and researcher. For years she has been working in video production and has produced many TV and radio commercials, photoshoots, documentaries and online videos. She has never been directing before but this story is based on her own story. She knows what the ocean and surfing can give you and together with her working experience she knows that she can turn this inspiring story into a beautiful movie. The illustrations for this teaser have been made by Nataša Lops. The soundtrack for this teaser is produced by Wiebe Heetvelt. Thanks a lot guys. We hope to work together with you in the future. We choose to make this documentary with a small crew. A crew who loves the ocean as well. For the post-production we will work with an additional crew for color grading and sound editing. By working on a small budget, we also want to show that money is not the most important thing in life. We are convinced that you can make or do beautiful things with minimal financial resources. Yes, you're helping us on our way. Thanks a lot. Many hugs from the cast & crew! Big thanks. You will receive a download link to the movie as soon as it's finished. You will be one of the first! Thank you so much! Your name will be added to the end credits of the movie. You will also receive a download link to the movie when it's ready! You will receive a beautiful picture of Cainā or Carine with a personal note. Of course you will also receive a download link to the movie and your name will be added in the end credits:). You will receive an invitation for an intimate pre-viewing with crew & cast. Includes a dip in the ocean with the whole cast & crew:). We will give you a special note in the end credits. And ofcourse you will also receive a download the link to the movie.